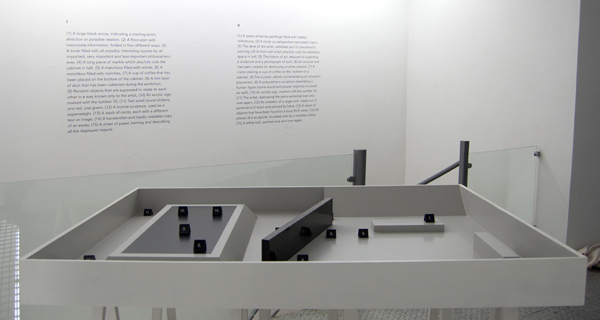 The installation consists of the table-sized display Proposal for a cabinet (2014) which could function as a presentation module, but also as a maquette for a bigger (exhibition) space, aswell as two lists of (possible) things one might encounter when visiting an art exhibition. 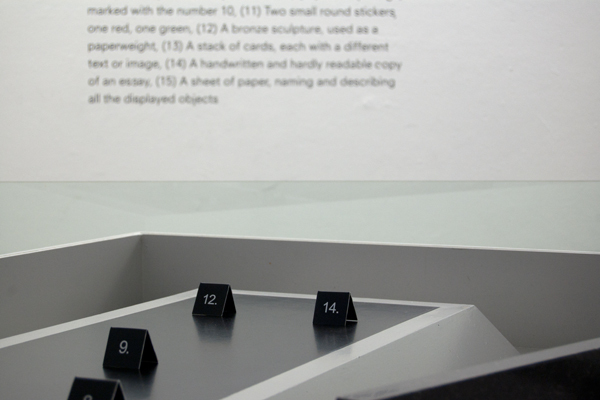 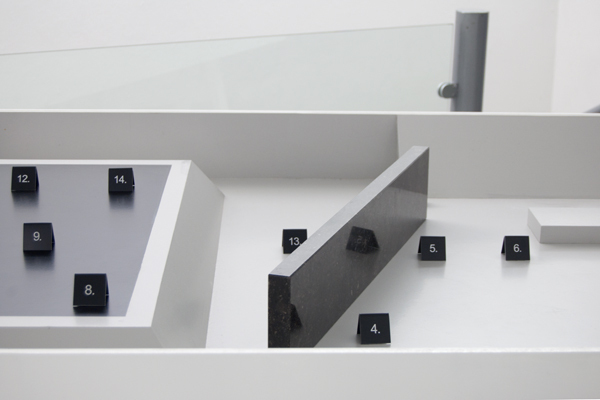 The two pieces of text indicate the two possible scales on which the cabinet/maquette could function, and they are related to the cabinet by 15 numbered signs which are spread throughout the cabinet. 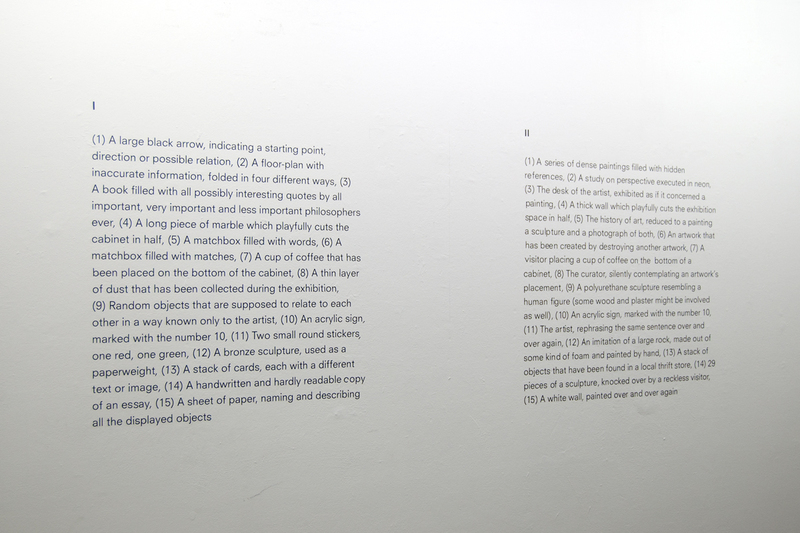 These pictures were taken during the exhibition Places Spaces at SIGN Groningen.